Yandex.Metrica collects and processes a large volume of information about site users. For certain business cases, sometimes you need to get a subset of data from this large dataset. In addition to selecting user sessions for a specific action (such as viewing a specific page or clicks from a particular source), Yandex.Metrica lets you select user parameters such as gender, age, and so on. To build a report with just the data you are looking for, create a segment with the relevant conditions. You can create segments both in the web interface and using the Yandex.Metrica API. Each of these ways allows creating up to 500 segments. This means that you can have a total of up to 1000 segments per tag. Segments created in the web interface can be used in Yandex.Direct and Yandex.Audience. Segments created via the API can only be used for retargeting in Yandex.Direct. They are not shown in the Yandex.Metrica web interface. In some cases, a segment created in one of the Yandex.Metrica reports does not work in another report or is not available in Yandex.Direct and Yandex.Audience. 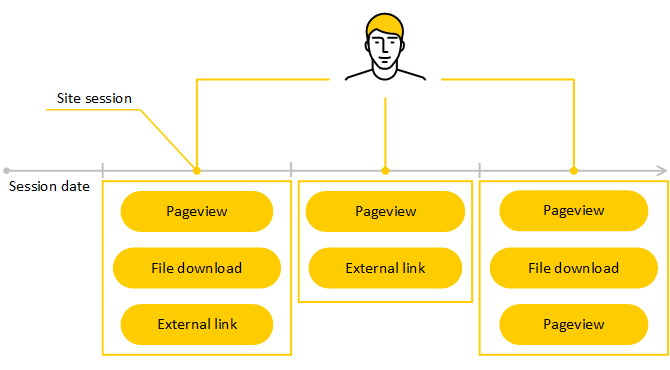 For example, a segment created in a Direct, costs report can't be used in any other report, and this segment can't be used when selecting an audience in Yandex.Direct. Note. You can use the API to modify segments that were created in the web interface, but they will no longer be shown in the web interface after this.